Leverage the 'promise of the cloud' to grow your business. 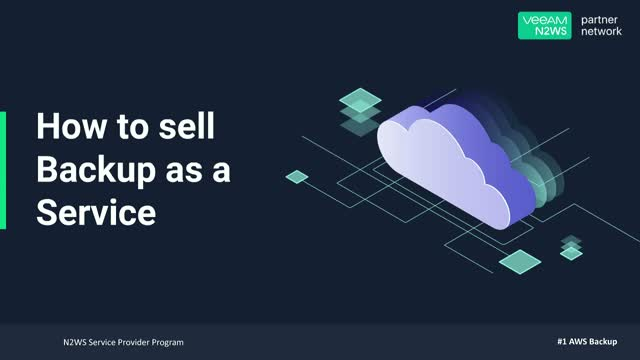 Join us in discussing how MSPs can take advantage of the ever-expanding public cloud opportunity to successfully enhance their business offerings in the cloud. La promesa de la nube ha sido una forma de escalar más ágil, rentable y sin desastres. Sin embargo, esta promesa viene con una letra pequeña: AWS y otros proveedores de nube pública garantizan la seguridad de su infraestructura pero no sus datos. • ¿Por qué necesita proteger sus entornos de AWS y por qué la copia de seguridad nativa no es suficiente? • Cómo perfeccionar la recuperación rápida y granular de desastres. La promesse du Cloud a été une manière plus agile, plus rentable et moins risquée de faire des économies d'échelle. Cependant, cette promesse s'accompagne de passages en petit caractères : AWS et autres fournisseurs de cloud public garantissent la sécurité de votre infrastructure mais pas de vos données. · Warum sollte man AWS Environments schützen und warum native Backups nicht genügend sind. · Wie man eine einwandfreie, schnelle und granulare Daten-Wiederherstellung durchführt. Idle servers are costing you money. You’ve moved to the AWS cloud. However, as you scale and adopt more services, your AWS spend adds up. Now you need to optimize your AWS resources to reduce monthly costs. •Manage your data storage, server instances, and snapshots from 1 easy-to-use console, and more! The promise of the cloud has been a more agile, cost-effective and disaster-proof way to scale. However, this promise comes with some fine print - AWS and other public cloud providers guarantee the safety of your infrastructure but not your data. Is this the “Year of the Cloud “or was last year, the “Year of the Cloud”? Or, have you been in the Cloud already and really wondering when the profit and simplicity starts? There are 5 key areas to focus on to get to AWS and make it financially positive for your organization. Join Laurent “Mr Stabby” Mombel and N2Ws’s special guest Ian “Scissor Hands” Thornton-Trump as they slice and dice Planning, Building, Executing, Sustaining, and Managing your AWS projects for success. See why Plan, Build, Execute, Sustain and Manage are the key areas to focus on to reduce organizational risk of spectacular AWS cloud project failure. Sharp objects not included. *Terms & Conditions - We shall reserve the right, in our sole discretion, to approve or deny any such promotion code request in accordance with AWS & N2WS rules such as having an non-enterprise/personal email as N2WS is an enterprise focused solution provider. Welcome to our AWS Workshop Series! Whether you are brand new to the cloud or have been in production for some time, AWS can be extremely overwhelming and our series of technical deep dives into the vast unknown jungle that is AWS. We'll explain why you don't need a machete to clear out and understand the most popular public cloud's inner workings. Did you miss this year’s AWS Re:Invent in Las Vegas? Have no fear! We are here to brief you about the main announcements that could potentially have an impact on your AWS workloads. In AWS, your data is your responsibility– but securing your cloud shouldn’t mean sacrificing your IT budget. Join our session to learn how the NEW N2WS Backup and & Recovery 2.4 empowers enterprises to satisfy data protection demands while reducing storage costs and addressing varying data backup lifecycle needs. •PLUS a live Q+A …and more! Enterprise data protection solutions purpose-built for Amazon Web Services.